Cats can be some of the best pets to have, but they come with one major downside: litter boxes. 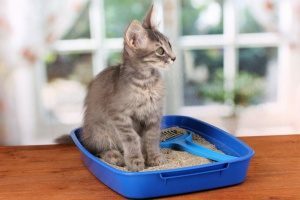 A regular litter box is going to require a lot of cleaning on your part, and it has the potential to create a lingering odor. So instead, you should strongly consider some of the top cat litter boxes that are on the market right now. A good litter box has the ability to make your life so much easier. Some of these top cat litter boxes are self-cleaning, so you’ll never have to think twice about them. 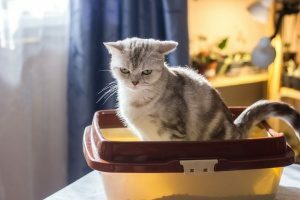 Other litter boxes require some maintenance, so you’ll have to consider what to do in the event that you have to work late or are going out of town and can’t take care of your cat. The best solution: hire a professional cat sitting service. They will clean the litter box and care for your cat so that you have less to stress about (the simple solution is to hire a professional cat sitting service to take care of everything). Not only is Modkat’s litter box sleek and stylish, it’s extremely beneficial for your home. The design of this litter box nearly eliminates litter tracking altogether with its top-entry design and its walk-off mat. The swivel lid on top allows for easy cleaning because all you have to do is swivel and scoop. It also comes with reusable liners that are good for up to three months. Simply take it out, replace it with fresh litter, and your good to go! Its design also helps to trap the unpleasant odors that can occur if you’re not super diligent about changing the litter. With over 6,000 reviews on Amazon, it’s clear that this litter box is a hit. Between its massive size, durability, prevention of litter tracking, and budget-friendly price, how could you go wrong? To some, the large size of this litter box might be a turn-off, but if you have multiple cats, or a large cat, the extra space can be necessary so your cats can have a more comfortable experience. The Catit comes with a hooded lid and door, but if your cat doesn’t like this design, no worries! It can easily be removed to fit your cat’s needs. The removable lid also makes it super easy to clean, because it comes right off and gives you access to the litter. This litter box has a built-in anchor that keeps your bag of litter open so you don’t have to do add more yourself, making scooping super easy. It also has carbon filters that work to remove the odor from your litter box, so it’s safe to place it in your home somewhere that isn’t an unused bathroom or room. If you’re looking for a more luxurious experience, the CatGenie is surely the way to go. Just as the name says, it’s self-washing and self-flushing, allowing it to be one of the top cat litter boxes for your furry friend. This is great option because it means you never have to get your hands dirty. All you have to do is connect the CatGenie to a cold water line in your home, and it does all the work for you! The CatGenie works so well because it removes and liquefies solid waste and then transfers it to your toilet or utility sink drain. Following that, clean water and veterinarian-approved cleaning solution are used to wash the litter granules. This also means your litter granules can be reused, allowing you to reduce waste and save some money. How can you turn down a litter box that’s this easy? This is a great option for you if you want the ease of a self-cleaning box without having to pay a fortune. All that’s required is to remove and replace the disposable tray every few weeks, that’s it. The ScoopFree litter box will do everything else for you. This litter box has sensors that can detect when your cat uses the box, and 20 minutes later the box will begin to rake away the waste. The solid waste is then dehydrated and transported to the covered trap where it’s locked away. The special crystal litter in this box absorbs moisture and odor 5 times better than other litter. It also comes with a health tracker to keep count of how many times your cat uses the litter box. This can be extremely useful is your having to keep a close eye on your cat for medical reasons, or if you just want to make sure they’re generally healthy. As one of the top cat litter boxes, it also has safety sensors that can detect when your cat enters the litter box, so it can delay or stop the rake so it doesn’t harm your cat. The hood offers your cat some privacy, while also working to lessen the amount of litter tracking you have in your house. Technically this isn’t a litter box, but it houses your litter box in a discreet and stylish way. Its design fits most litter boxes easily within it, so you can continue to use whatever litter box you love. The box’s material will never absorb any moisture, so if your cat happens to miss all you have to do is wipe it away. Because this litter box is so discrete is can actually be used for other things, such as serving as an end table or enclosed pet house. This box allows you to get the look you want with the litter box that works best for you. Having a quality, clean, and comfortable litter box is only a small part of taking care of your cat. Your cat still has to be fed and given all the attention it deserves. This can become difficult if you work late hours or you find yourself having to travel. The best thing you can do for your cat is to hire a professional cat sitting service who will keep your cat happy and comfortable while you’re away.